As Miami provided us a rainy morning the Rum Judges gathered at the Doubletree Hotel Convention Center hotel for a breakfast meeting with representatives of Don Q. We were pleasantly surprised to be treated to a meal by Chef John Meisler with a presentation from Roberto Serrallés about the future of the Don Q brand and the upcoming release of their 2005 Single barrel product. 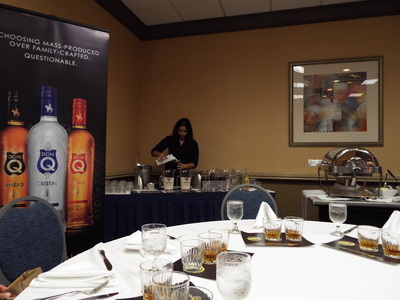 We sampled the rums and shared time with the Don Q team and then found our selves heading to the judging room for the third round of the blind tasting competition. This round contained Spiced rums and Aged Gold rums. 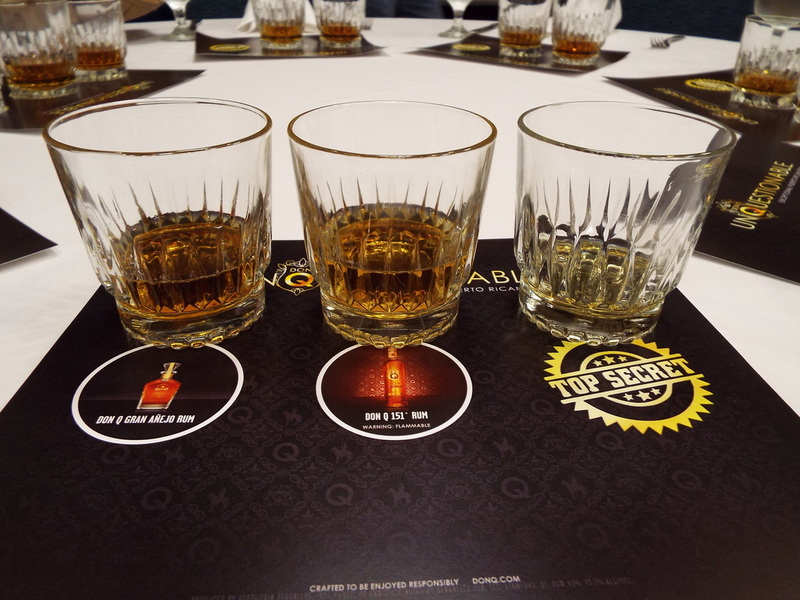 Spiced and flavored rums are not fun to judge and can be real palate killers in competition so I judged the Aged Golds first then judged the spiced. After careful deliberation, I finished and went into the reveal room to find some new discoveries along with tried and true products. After a break we had lunch provided by Atlantico. 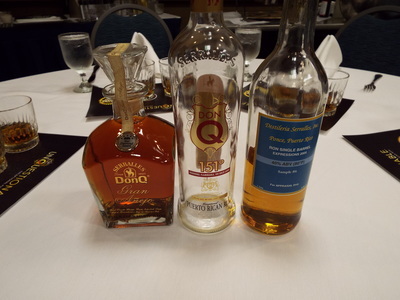 They have a set of three rums that are produced in the Dominican Republic at Oliver and Oliver. After lunch we had the last session of the day which involved evaluating rums in the 10-15 age category, Special Casks, and 18-25 age category. We wrapped the day up with one last meeting with Steven Gubb of Gubba rum. Bottled at 35 proof the liqueurs come in two expressions- Vanilla and Coconut. It was a pleasant way to wrap the evening up before we dispersed for our evenings festivities. More judging and a lot more meetings coming up in day three of festival coverage.